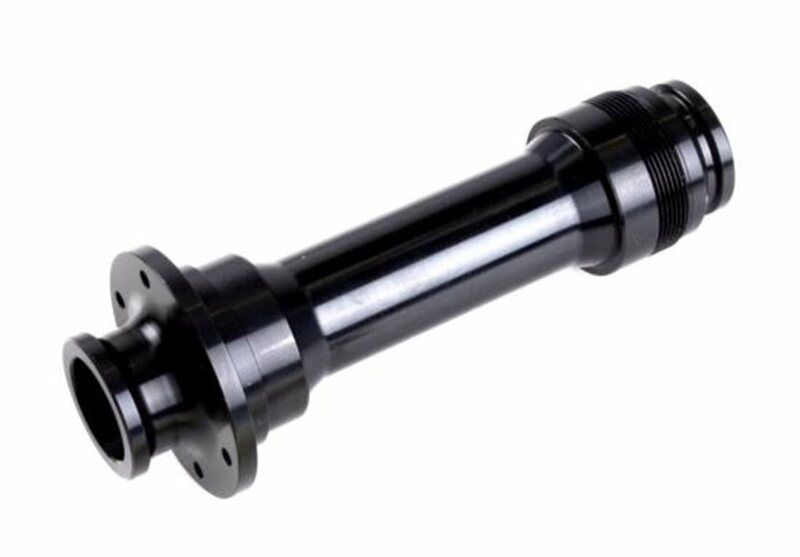 You are looking at a replacement Easton M1-12 front hub axle for Easton hubs. Easy to convert 20mm thru to 15mm thru! After looking all over I finally found this axle to convert my wheel to run with my 15mm fork. This axle is a direct replacement for the 20mm thru axle on my 2013/2014 Easton Havoc Wheelset. Installation was pretty straight forward, but you will need two red spanner wrenches to unthread the axle from the existing wheel. Once apart jut remove the 20mm side and install the 15mm instead, using the same retaining ring. Be careful when threading the retaining ring on or you could easily strip it out. Just be patient and make sure it's threaded right before tightening it down. I gave it four stars because you need two identical tools where most people only have one and the threads were very difficult to get started. BEST ANSWER: Looks like this kit has the threaded cap (Bearing Adjuster) that you need - LH component in the exploded diagram.